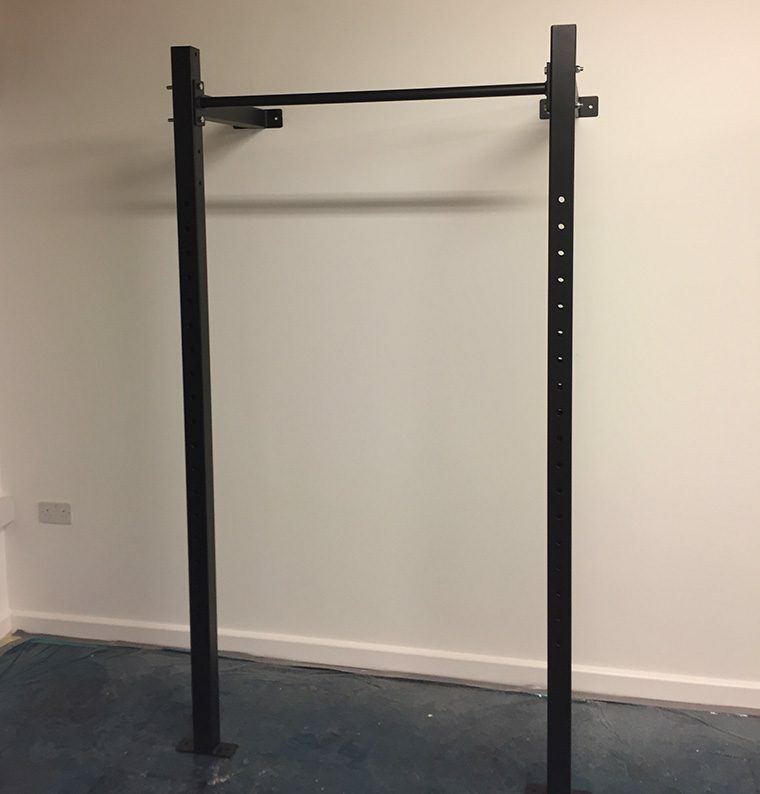 This wall mounted rig is made from 50×50 box steel, its been carefully manufactured in the UK, using nothing but UK materials. The TA-1 comes with j-hooks and standard chin bar as standard. You can add attachments on request if you wish to spice it up a bit. Grip is important so we have made sure to do our best to coat the rig in a coating that is grippy yet durable. You wont be slipping off when kipping. This rig is perfect for any garage or training space.